Among the many prominent artists who have created work for Hallmark Cards, none is more beloved than Norman Rockwell. The most prolific and influential illustrator of the last century, Rockwell produced nearly 4,000 pictures for more than 150 companies, including magazine covers for The Saturday Evening Post and annual calendars for the Boy Scouts of America. Among his most enduring images are Rockwell’s Christmas paintings for Hallmark, which helped define the spirit and traditions of the holiday season for millions of Americans. Hallmark founder J.C. Hall commissioned Rockwell to paint 32 Christmas designs, beginning with images for the 1948 Hallmark Gallery Artists Collection, an exclusive card line that included modern masters such as Salvador Dali, Georgia O’Keeffe and Grandma Moses. Over the ensuing decade, Rockwell interpreted the yuletide theme in a variety of guises, ranging from the characters of Charles Dickens’s A Christmas Carol to the exploits of the modern American family. Reproduced in many contexts over the years, these heartwarming and humorous images have come to epitomize Rockwell’s masterful brand of narrative art. 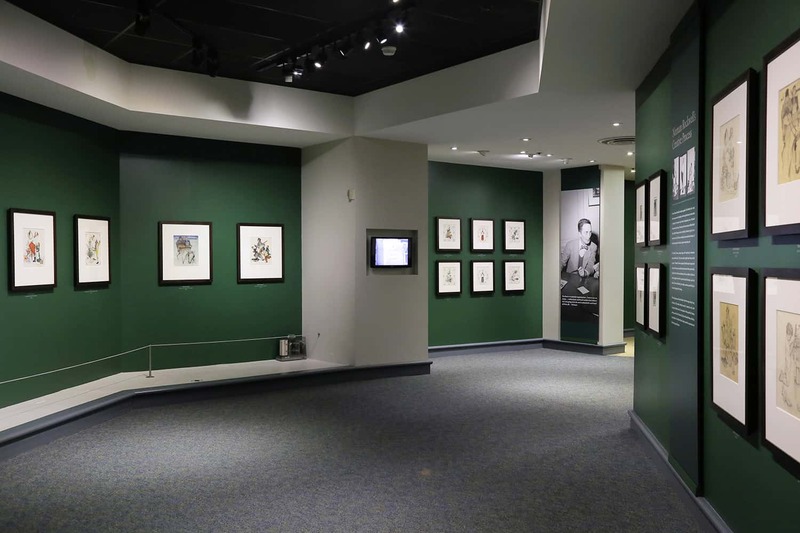 Norman Rockwell’s Christmas is the most comprehensive exhibition ever assembled of Rockwell’s original art for Hallmark Cards. All works are from the Hallmark Art Collection with historic photographs and ephemera courtesy of the Hallmark Archives in Kansas City, Missouri and Norman Rockwell Museum Collection, Stockbridge, Massachusetts. The exhibit is on display October 4, 2017 through January 27, 2018 at the Hallmark Art Collection Gallery in Hallmark Visitor’s Center, located in Kansas City’s Crown Center district. Admission is free.